80% of the world’s coastline is eroding at rates ranging from centimeters to 10 meters per year. At the same time, coastal zones are increasingly exposed to flooding that causes significant human and material damage. Furthermore, the concentration of populations, economic activities, and transport systems in coastal zones render these environments highly vulnerable to pollution of all types, and potential hotspots for oil spills. 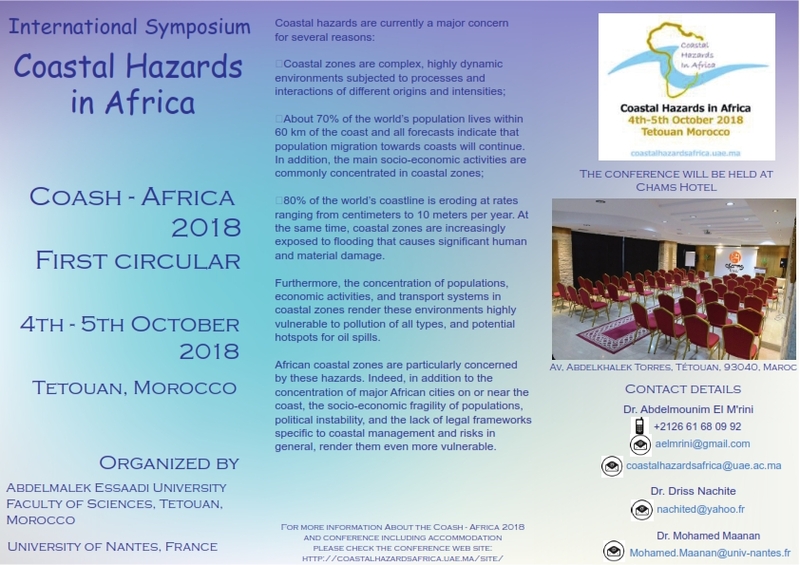 African coastal zones are particularly concerned by these hazards. Indeed, in addition to the concentration of major African cities on or near the coast, the socio-economic fragility of populations, political instability, and the lack of legal frameworks specific to coastal management and risks in general, render them even more vulnerable. 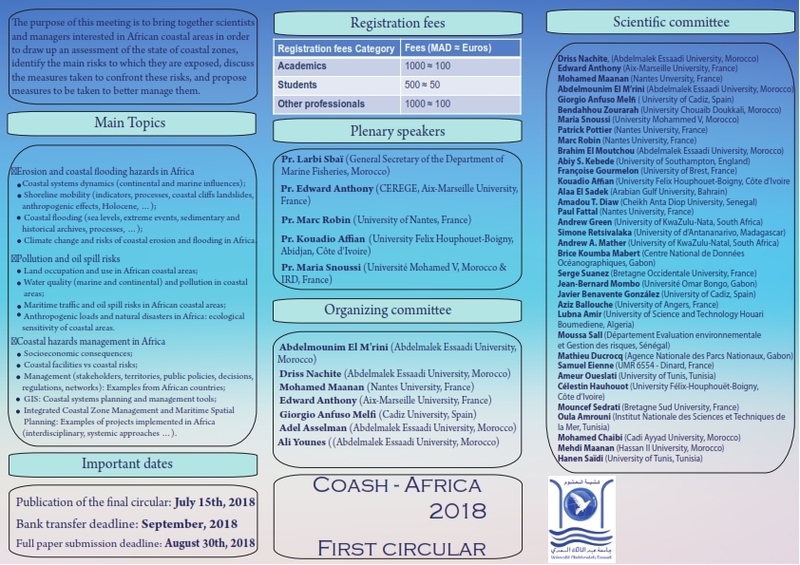 Objective: The purpose of this meeting is to bring together scientists and managers interested in African coastal areas in order to draw up an assessment of the state of coastal zones, identify the main risks to which they are exposed, discuss the measures taken to confront these risks, and propose measures to be taken to better manage them. Climate change and risks of coastal erosion and flooding in Africa. Anthropogenic loads and natural disasters in Africa: ecological sensitivity of coastal areas. Integrated Coastal Zone Management and Maritime Spatial Planning: Examples of projects implemented in Africa (interdisciplinary, systemic approaches …).